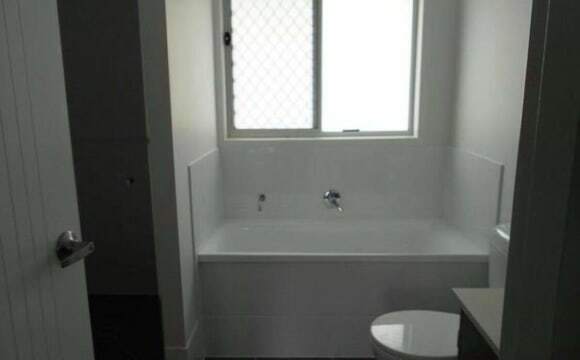 So your bedroom is the opposite side of the house to the main and you also have a bathroom and toilet that can be all yours, if i ever have guests they may use it but that would be super rare. pets are a possibility but it will be case to case as the complex ideally doesn't like them, things like small dogs and cats would be easier. currently only looking for someone approx 3 months but there is some wiggle room if you need a little more or less. Would just be me and yourself i don't really intend to have anyone else take the third bedroom. bedroom has in built wardrobe and fan. Internet, basically unlimited! Feel free to use the tv, its a nice 4k tv with netflix and spotify if you want to listen to some music or play on the playstation. complex also has a pool! This property is located in a very good location. Not far from the coomera train station. 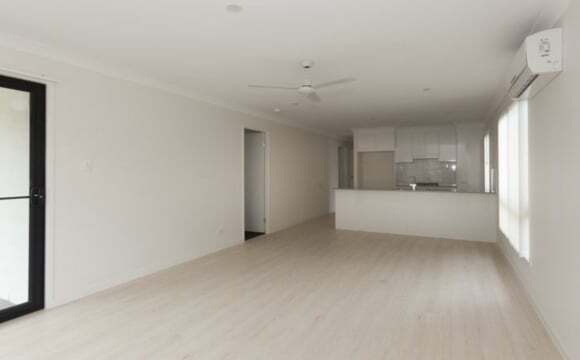 The main living room has aircon with a large open plan living. The Bedroom has just been freshly painted and has a brand new fan. Bedroom is not furnished but the rest of the house is. No smokers please. 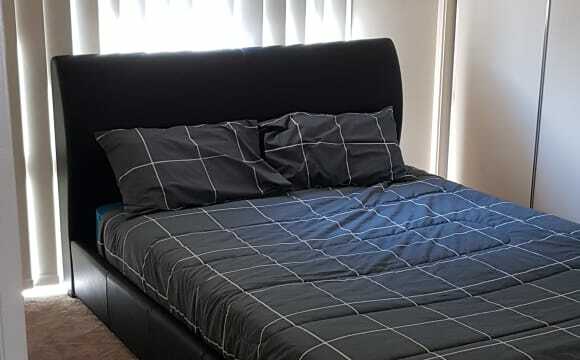 $200 pwk Unfurn*or $230 pwk Furn* Netflix, NBN, Electricity and Water Included Close to Coomera Train Station in a New Estate and 3 mins drive to the M1. This beautifully built home features 4 good size bedrooms with mirrored built ins Master bedroom with ensuite &amp; air conditioning Ceiling fans throughout Modern kitchen with stainless steel appliances and heaps of bench space Open plan tiled living/dining area Separate media room Covered entertainment area with ceiling fan Fully fenced flat back yard Double lock up garage Currently, it is myself (Mel) &amp; Kyle living here (not a couple). I am building 3 businesses currently and Kyle works in Retail. The house is neat, tidy, homely and very chilled. We like to socialise, welcome BBQ's, group drinks and equally enjoy quiet time, respecting each others space. We are looking for a considerate individual/s, who has a positive and fun personality. Bond = 4 Weeks Rent Rent = 2 Weeks in advance, as we only ask for two weeks notice. There can be flexibility, dependent on the individual and need. Just looking for the right person/s. 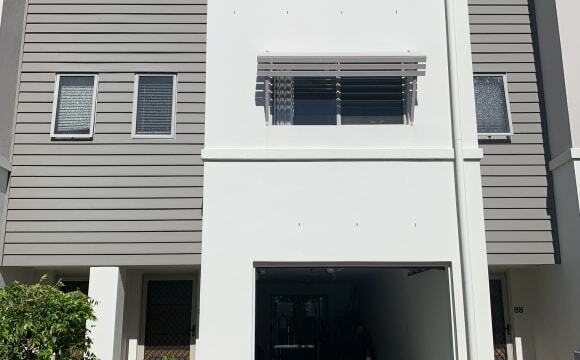 Brand New house- 4 bedrooms completed in October 2018 available from now One ensuite room (with AC) , three rooms share one bath room. Living room has AC. 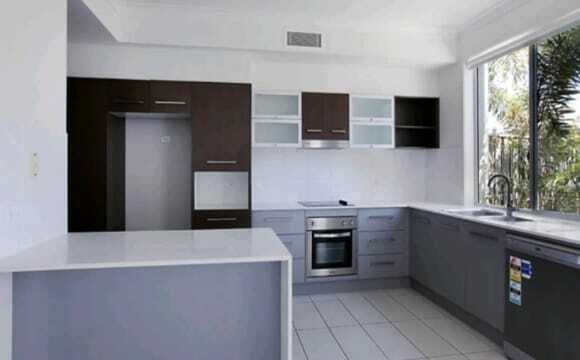 -1 MINS drive/10 mins walk to Westfield Coomera/ Coomera station -3 MINS drive to IGA/ BWS/ bakery , cafe, local shops. 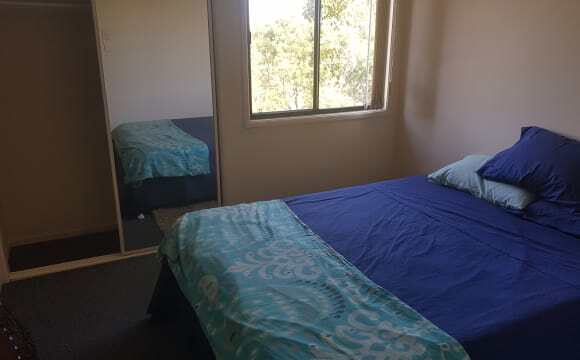 -5 MINS WALK to Gold Coast TAFE (750m) Including dining table set, kitchen furnished, laundry machine. Two mattress and bed frames. No pets and smokers please! Thank you very much. 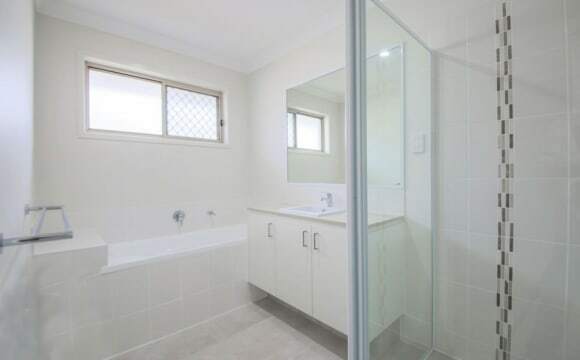 This residents is owner occupied looking for 1 house mate at this stage, meaning the guest bathroom is mostly to yourself. 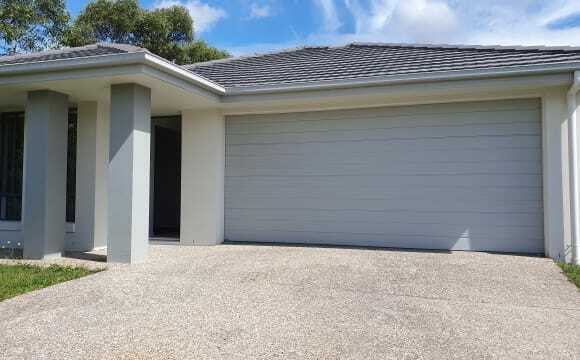 this property is within walking distance/ 5min drive to Coomera Westfield and train station. we have 1 cat and 1 dog therefore we are looking for someone who's got no pets, and is adaptable to our very small list of house rules to ensure our animals are safe and the peace is kept between people, other then that, we like our space and privacy while also being very sociable people. 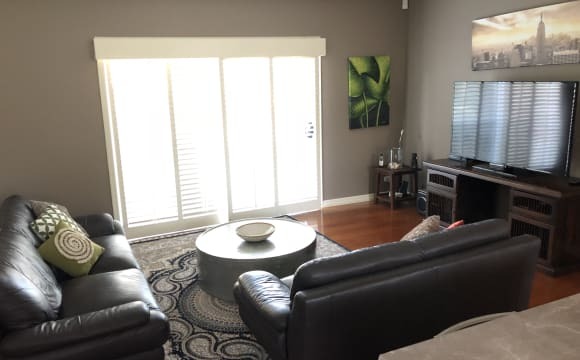 Free internet got a big pool, you can smoke outside, really nice loungeroom with aircon, free electricity, we live walking distance from Woolworth and all sorts of other shops and walking distance from the train station. The great thing is the cool easy going vibe. We avoid drama, and we communicate on a great level, which is really important to me. I want you to feel at home here, something we can share together. I want someone who is clean, cleans up after themselves and respectful of each other. 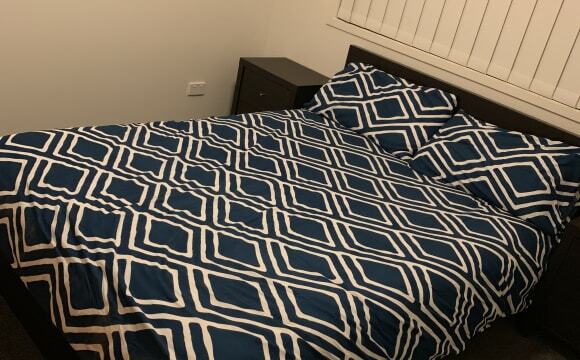 There is 3 people here at the moment, but one housemate is moving out in May. I'm wanting to find someone else to move in. Idealy i would prefer for the person who does move in to go on the lease with me or at least become an approved tenant, however it is not a necessity right now. All bills are included in rent, and I've lowered it to 3 weeks bond. Look forward to hearing from you. 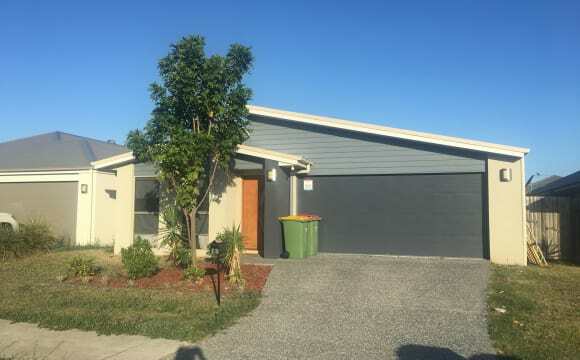 House is located three minutes from the new Westfield Coomera and train station with other shops located nearby. NBN internet at the property with unlimited data. House is a non party house with no pets and smoking is allowed outside. 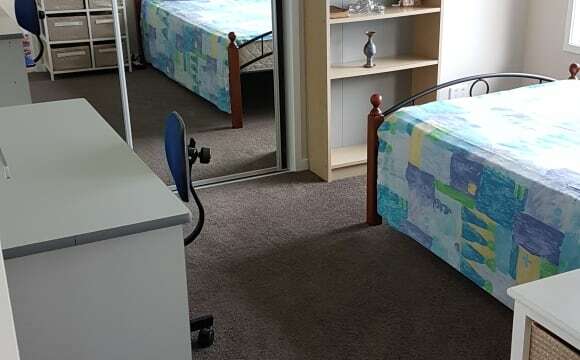 Studio Apartment will suit 1X person at $350 pw or a couple at $400pw This 1 bedroom Studio is very private. It has its own private entry. It is located at the other end of the main house and has double size rooms. It is fully furnished and is located in a Secured Estate the fascilities include a 25 mtr pool and barbecue area in the residential common areas . 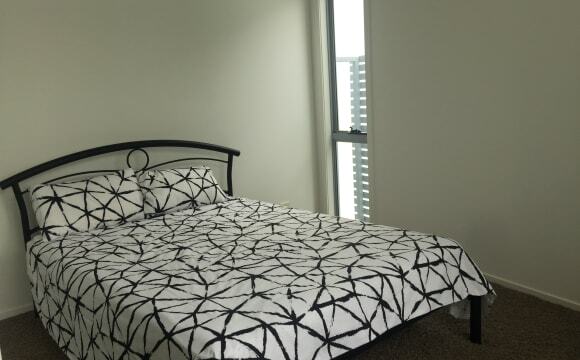 You would need to be studying or in full time work to suit this accomodation and love living a quiet lifestyle . 1 person or a couple is preferred for the Studio but not essential . 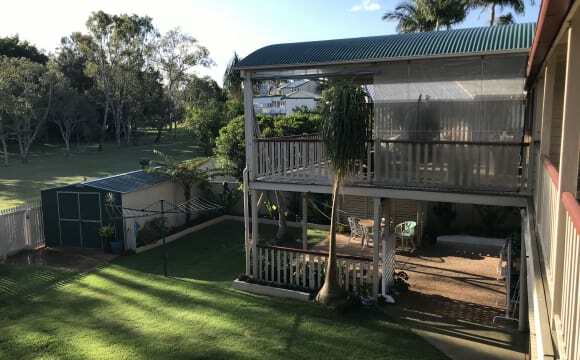 If you want a peaceful private big space, then I have a 2 room ground floor 'unit' available (currently unfurnished) in a large Queenslander in Hope Island and very close to the Hope Island Marina (medical centre, restaurants, shops, tavern), Sanctuary Cove and Coomera river park. 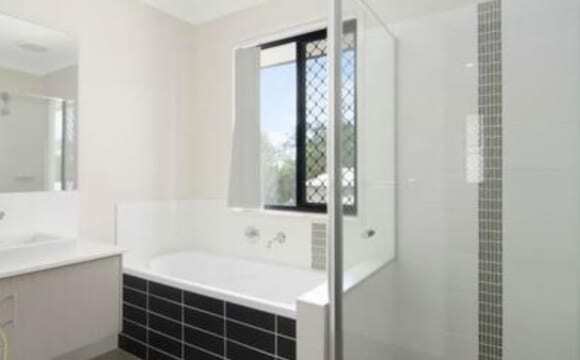 You will have a double bedroom, lounge / study room, shower and toilet downstairs and access to the kitchen upstairs. The rent includes bills and Wi-Fi is available. 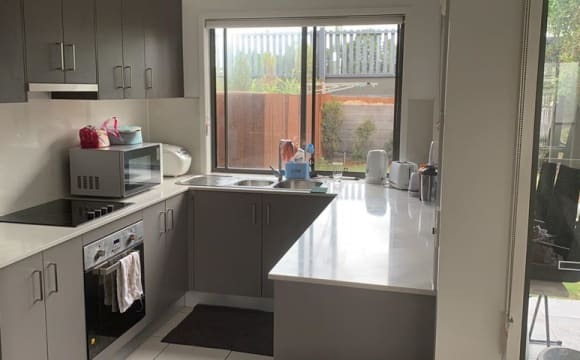 This is a harmonious family home, with 3 current residents aged from 20's to mature; but your unit is yours and not shared with anyone else, apart from the laundry area. I love animals but sorry, no more thanks. close to Westfield and highway! Good access to M1 to get to Brisbane or the Gold Coast. As new house, only three years old. 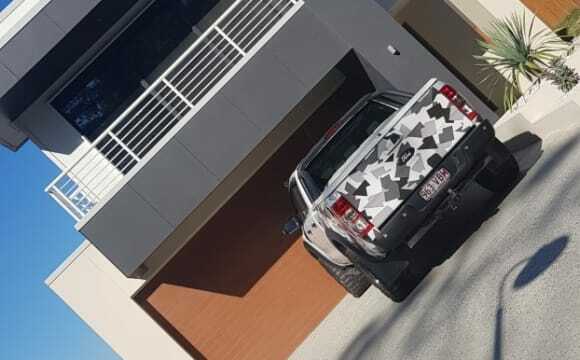 Close to Pimpama Junction shops. 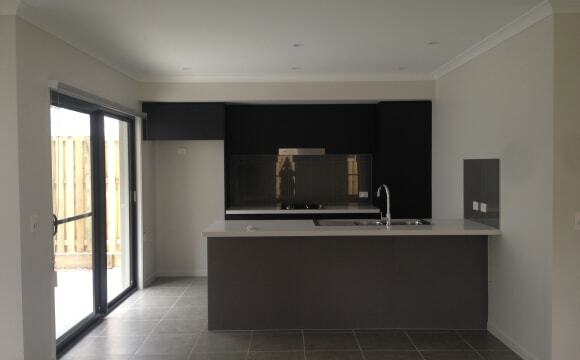 Wall mounted air con unit in open plan kitchen/dining/family room. Ceiling fans in bedrooms. No foxtel but would be happy to share cost for Nexflix. 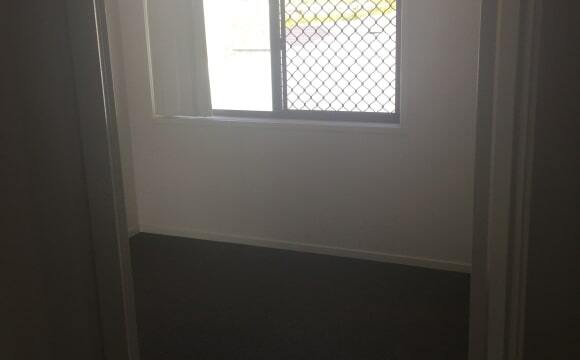 Room available can be provided furnished or unfurnished. Garage parking for small car only. Large cars must park on the street. Photos of the house in this advert were taken when the house was built. The house is now fully furnished. 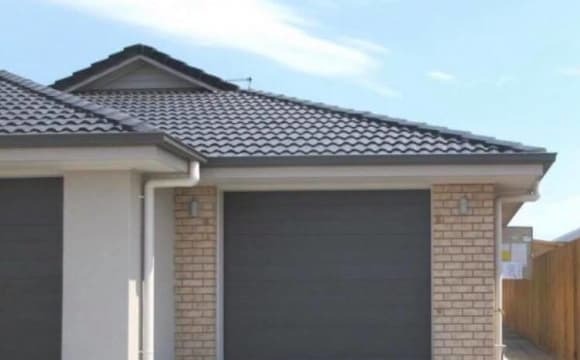 All interested parties must complete an application form and be checked out by rental agency. Internet and electricity are included in the rent. looking for a housemate that is friendly and easy to get on with but also respects boundaries and the usual share-house etiquette. In return I promise to do the same! Electricity and gas are both included in the rent and your room can be furnished or unfurnished depending on your needs. Home backs onto a golf course and has 4 bedrooms and two bathrooms with multiple living spaces. It’s an easy drive to the highway and local beaches. We live in a beautiful area close to shops and transport and only 5 minutes away from Paradise Point, 10 minutes from Harbourtown and Helensvale Westfield. I have a spare room with a queen bed, desk and drawers available to rent. The room has ceiling fan and the main living area has air conditioning. We are also close to the water and marina. We have Netflix and free Wifi. Lots of space and very peaceful! 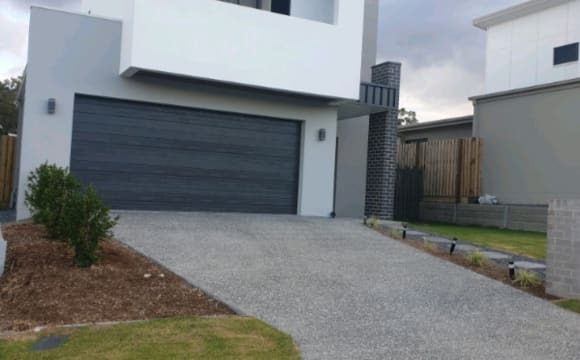 A huge house with 5 big bedrooms ( including a granny flat), 3 bathrooms, 3 fully furnished living areas with big screen TV's, a modern kitchen, a large swimming pool, ducted air conditioning, landscaped gardens, 2 outdoor decks furnished with a BBQ, Foxtel, Netflix and unlimited Telstra NBN. 5 mins to the M1,excellent shops, restaurants, new gyms and the upcoming new Coomera Westfield Shopping Centre. close to shops and railway station. 5 min to Dreamworld and 12 to Movie world.